I usually leave my computer, and let it go to sleep after 15 minutes. My external screen is showing a blue screen saying "HDMI no signal" every other minute while my MacBook is asleep, and the screen lasts for a few seconds. If I unplug the external screen, the message appears for a longer period of time. It did not happen with other computers (I have tested with a MacBook Air and a Windows Surface PC). The built-in screen is turned off and does not blink in any way. Setup: I have a MacBook (Retina, 12-inch, 2017) running MacOS Mojave (10.14.1). I have a USB-C Digital AV Multiport Adapter, to which my external monitor (ASUS VS248H) is connected using a HDMI cable. Question: Is there any way to avoid screen blinking (except for turning the screen off when I leave it)? I.e. sending the correct signal to the external screen, so it does not think it is disconnected. The Apple Digital AV Multiport Adapter is a passive converter meaning that it's just "rearranging" the pin outs from the DisplayPort signal to the HDMI signal - basically, the monitor is detecting voltage, but there's no data being sent. I expand on this more in this answer to a similar question. Type C DisplayPort to DVI adapter (active is "better", but passive is OK here since DVI and DisplayPort are similar signals. Tyep C DisplayPort to HDMI active adapter. Not the answer you're looking for? Browse other questions tagged macbook display sleep-wake screen hdmi . Can an MacBook's Thunderbolt port be used as an HDMI “in” to view a feed/signal from a video camera? Triple screen on MBP 2016 13"? 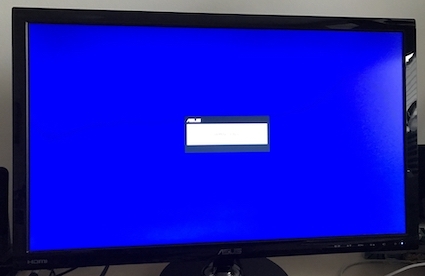 Why does my Asus PB277Q screen keep waking up while the Mac it is connected to is sleeping?